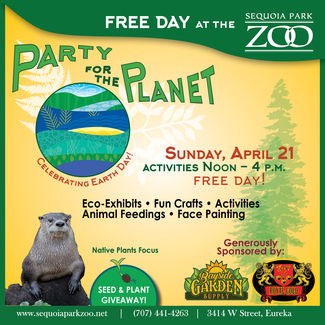 Come help us celebrate Earth Day with a FREE DAY for the entire community at Sequoia Park Zoo. Volunteer for various shifts on Sunday, April 21, 2019. Thank you for supporting the Zoo through service. We cannot do it without your help. Must be willing to lift tables, chairs, etc. Various duties as needed...willing to go with the flow! Much needed position! Break down tables, chairs, tents, etc.